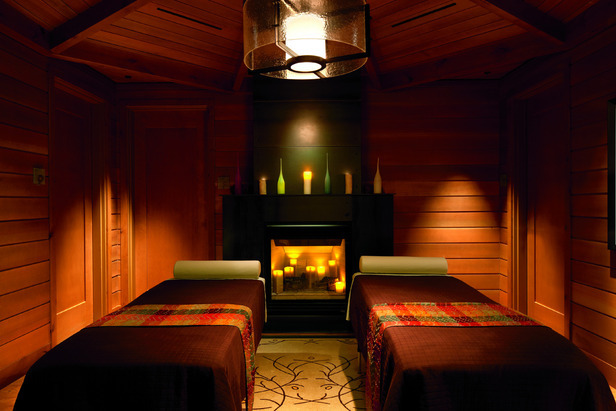 Take romance upscale with pampering at Northstar California. Spend the day skiing Northstar’s sun-drenched slopes with peek-a-boo views of Lake Tahoe. After skiing, head to the Ritz Carlton. Sink into the couches in front of the fire in The Living Room for an après hot chocolate called the Snuggler 2.0, a sumptuous mix of peppermint schnapps, Godiva white chocolate liqueur, and whipped cream. Then, retire to the spa for a couples’ treatment that combines a bamboo scrub, intimate duo soak in a double copper tub, and massages with olive and fig body butter. Cap the night by dining on the California plates with the French twist of Chef Traci Des Jardins in the Manzanita Restaurant before settling in to the luxury of your king bed room. Find more information on the Ritz Carlton Lake Tahoe here.